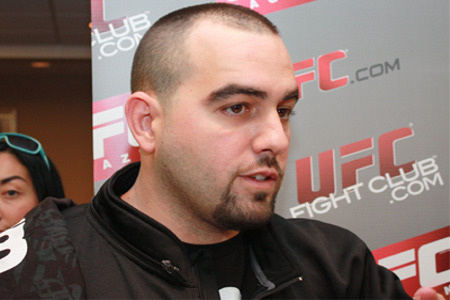 After the allegations that he was part of spying Quinton “Rampage” Jackson’s camp, manager – Malki Kawa – released a statement to MMAJunkie.com last Wednesday to deny any wrongdoings. The manager wrote that he was forced to respond to clear the record, after Rampage claimed he was caught spying red-handed. Last Monday evening, Quinton Jackson said in an interview that he leaked out a fake hand injury in his gym. Weeks before that, he said that a trusted associate heard Malki Kawa brags about having an inside scoop from their camp. However, the light heavyweight contender denied to name his suspected spy or spies. In response to this, Malki Kawa wrote that the source of information was devious, pointing out the said fake hand injury came through an employee who learned about it on Twitter. However, Rampage said that no such Twitter post exist. Quinton “Rampage” Jackson is slated to face Jon Jones in a light heavyweight title match on UFC 135. The said tournament will go down on September 24, at Denver’s Pepsi Center. The whole statement from Malki Kawa, as posted on MMAJunkie.com, is posted below. As an agent and manager, I often receive phone calls and e-mails with tips from reporters, fans, friends and even business colleagues throughout the MMA world. I have never placed a spy in any camp or hired someone to spy on a camp, nor have I ever proactively inquired about information from any camp. As is the case with any agent or manager, I do receive information on a regular basis that is the result of a tight-knit MMA community where everybody knows everybody. Early last week, I received a phone call from one of my employees who informed me that he had seen a tweet stating that he had heard of the possibility of Mr. Jackson suffering a hand injury and it may be serious. While Mr. Jackson finds it inconsequential that information of this variety may be on the internet, it is still my job as a manager to follow up on this information with the UFC. Any such injury would directly effect my client and his training in preparation for a fight on Sept. 24, a date that is approaching fast, especially if the possibility of a new opponent existed. I followed proper protocol in such an instance and contacted Joe Silva immediately to inquire about the possibility of Mr. Jackson not being about to fight. Contrary to Mr. Jackson’s statements, Mr. Silva was actually in the United States at the time of my phone call with him. After follow-up calls from Mr. Silva regarding this situation, it was confirmed that Mr. Jackson indeed had not been injured and was training to fight Jon “Bones” Jones. For me and my client, this issue had been closed. I am sorry that Mr. Jackson feels that he has someone in his camp that is calling other people with sensitive information within his camp. He is unwilling to state who this “spy” is but is more than happy to attempt to damage other reputations in his wake. This leads me to believe that Mr. Jackson is simply looking for a way to create a distraction or create more pre-fight hype. Mr. Jackson has made accusations of cheating against multiple fighters throughout his career, none of which has ever been remotely close to being proven true. This case is no different. Mr. Jackson has informed the media and public more of what is happening in his training camp in the past three days than any spy he believes is present could have possibly shared. At this time, the entire team at First Round Management considers this non-issue dead. Our team is setting its sights fully on UFC 135 in Denver as Jon “Bones” Jones makes his first defense of the light heavyweight title.